When driving a truck, you know you’re going to be road royalty with optimal power and performance when hitting the streets of Avon, Indianapolis, and Plainfield. With the 2019 Tacoma, it’s no different. With tons of trim options available, you can choose the one that best fits your needs, especially when it comes to size. To give you a better idea of how this truck measures up, the team at Andy Mohr Toyota has created this guide on the Toyota Tacoma dimensions. Discover the space you’ll have inside and out when you keep reading this review! 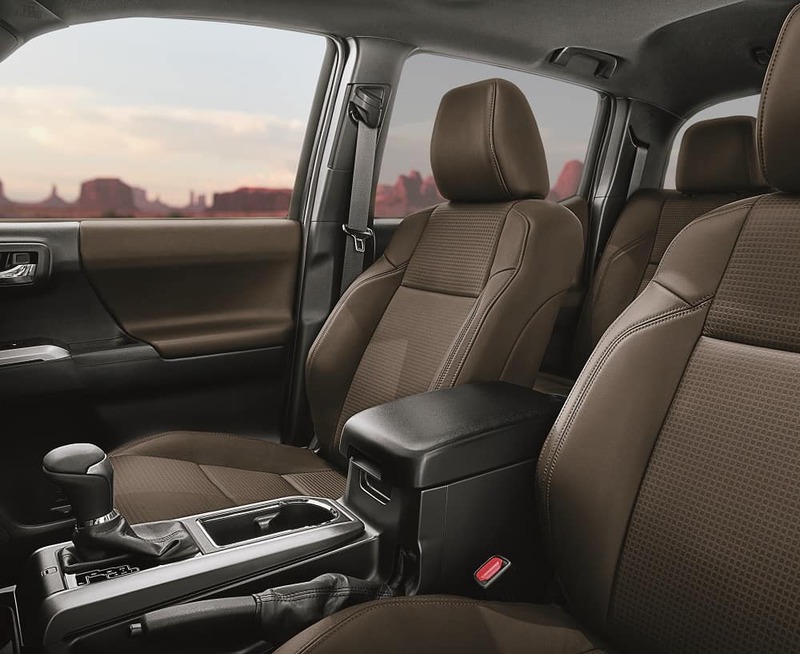 Inside of the Tacoma, you and your passengers are met with ample space to get cozy and settle in for the drive ahead. Most Tacoma trims come available in the both Access Cab or Double Cab, so choosing one that best suits your driving requirements is easy. In the Access Cab, you’ll have 39.7 inches of headroom in the front and 34.9 inches in the rear, so stretch out and get settled in for the ride ahead. Legroom is also spacious, coming in at 42.9 inches in the front and 24.6 inches in the back. As for hip room, you’ll find 57.2 inches of hip room in the front and 51.7 inches in the back. In the front row, you’ll have 58.3 inches of shoulder room, while there’s 56.5 inches of shoulder room in the back row. In all trims of the Tacoma, you’ll have fun driving a truck with 70.6 inches of height and a width of 74.4 inches. The length with a standard bed comes in at 212.3 inches, but if you have a long bed trim, that length increases to 225.5 inches for ultimate stature. The wheel dimensions also change depending on your bed size. With the standard bed, the wheelbase measures in at 127.4 inches, while the long bed is 140.6 inches. No matter which size you choose, you’ll be able to take on the road like a champion. 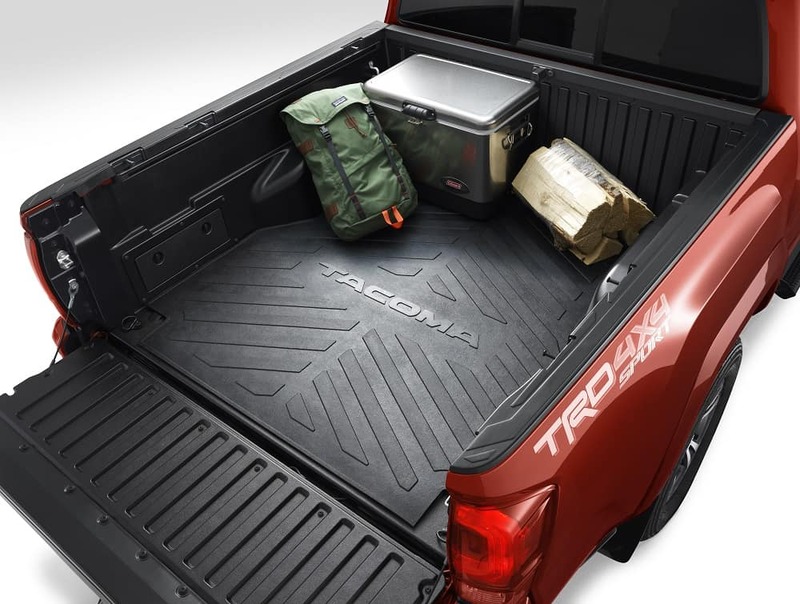 You have two truck bed options when it comes to the Tacoma: the standard bed and the long bed. Both beds offer the same height and width: 19.1 inches and 41.5 inches, respectively. However, depending on what you need to be loading in the back, choosing the right truck bed length comes into play. With the standard truck bed length, you’ll have 60.5 inches to play with. For the most space in your truck bed, opt for the long base, which ups that length to 73.7 inches. To experience the interior and exterior Toyota Tacoma dimensions for yourself, head on over to our Toyota dealership today. You can easily schedule a test drive in Avon, Indianapolis, and Plainfield with our online appointment tool or by calling us during business hours. See you on the lot soon! For more information on the Tacoma, click here.